Rewind the clock to the beginning of January 2017, Databox had only 11,213 monthly visitors to our website and 35 paying customers. This week, we crossed $1.1M in annual recurring revenue and 5,024 monthly active users. While we have ambitions to help millions more businesses monitor and improve their performance, the team has worked their butts off to get here and we’re excited to celebrate the milestone with our customers and partners. Setting and hitting goals is actually a bit of an obsession at Databox. Not just our goals, but helping other companies hit their goals too. But, as we’ve rolled out functionality for tracking goal attainment, we’ve been surprised by how few companies follow a regularly-occurring goal-setting and planning cadence. Most companies seem to just set high-level annual financial goals and that’s it. Unfortunately, many of them also seem to be way off their targets. We think the two are related. If that’s you — or you just want to see how we do it and refine your goal setting process a bit, here is the goal setting process we used to get to where we are now. Whether you’re trying to hit a million or maybe even a billion, hopefully this process can help you get to where you want to go. Before I jump in, it’s important for me to share that I can only take credit for a small part of this process. The entire team has been involved in creating this procedure and much of the planning processes we use were in place long before I joined. We’ve also borrowed some concepts from Traction, the Four Disciplines of Execution and Agile Software Development. Each quarter, we go through a process where we set up, share, and review new Databoards (like dashboards, but better) that help us look back on our historical performance. As we’ve implemented new processes and software to run Databox, we’ve been able to benchmark even more of our performance. By running a quarterly benchmark process, it’s easy to look back and understand how activities drove performance. Mixpanel for tracking usage of different features. Leveraging all of these tools and the metrics they allow us to track, we’ve successfully grown revenue month over month, every month. As you might imagine from a company that makes software to track data from multiple tools, we tracked all these metrics using our own Databox account. Quarter after quarter, our team has developed more Databoards in Databox, allowing us to be more and more data-driven in our decision making. At this point, we have a set of Company Databoards that show us how we’re doing across all key functions. Because they are updated hourly, we usually look at things more frequently than quarterly, of course. But, as a company, we do a deeper dive across all our key metrics at least once per quarter. This helps guide us in our planning process as we make bigger decisions. 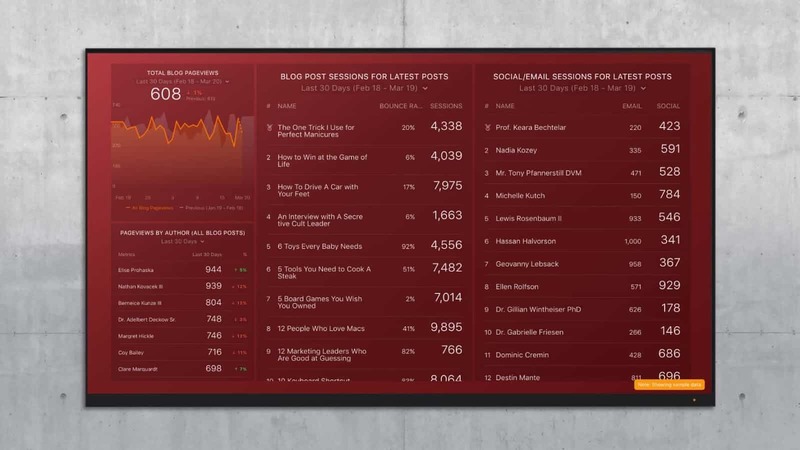 To monitor all this data in one click at any time, we string together our key Databoards using our Carousel feature so that we can monitor everything in one browser window and on a TV on our office walls. I even have it hooked up on a TV at home using an Asus Chromebit. By having all our data front and center in one spot, it’s easy for us to set reasonable goals and monitor our progress towards them. Once a company has some historical performance data, the “MBA thing” to do is to build a spreadsheet-model that forecasts growth. We did this in the beginning, as a way to help us set our initial goals. Based on our revenue target, and giving ourselves 18 months to get to our $1M mark, we calculated how much website traffic we would need. But, to be honest, I’m not a big believer in building complicated forecast models. It’s good to do when you’re starting or if you’re making big changes to your strategy, but since things always change, they are rarely ever relevant a month after they are built. For example, our original model required us to have several hundred thousand monthly website visitors to hit our revenue target. But, when we 3x’d our website visitor to signup rate and we doubled our average sales price, our traffic goal could be cut drastically. So, instead of building a complex model, I am a big believer in setting and revising goals on a monthly basis, so that the short-term goals are achievable based on your short-term activities and projects. Customer success: # of certified partners, NPS, customer churn rate. Each month, as we make sales, marketing, customer success and product decisions, we guesstimate what our improvement will be and then the team works towards that target. For example, we increase our website sessions goal by about 10,000 sessions every month now. Just a few months ago, we were only incrementing by 5,000 per month. We do this with other metrics too; as we figure out how to improve, we increase the target. Because we are resetting goals every month, the whole team has developed a frequent habit of dreaming up ways to get to the longer-term goal faster. We don’t try to improve every one of these metrics every month, though. For some metrics, we just want to maintain status quo. For example, in the last two months, we haven’t tried to drastically improve our signup to paid conversion rate past 3.5%. Two months ago, though, we did improve it pretty drastically. And we will try to improve it further in the next few months as we kick off some new projects. Bottom line, no company can improve every metric every month. But, it still makes sense to keep key metrics front and center and set a goal to make sure they don’t slip. What we’re going to do to hit each goal. Like any good S.M.A.R.T goal, each goal is assigned to an individual. During one-on-one meetings with the goal owner at the beginning of each month, we reset goals for that month. Even though each goal has an owner, though, we work as a team to hit different goals and since many of our projects support the achievement of several goals, teamwork naturally happens in many cases. For instance, when our Director of Product, Andrej Zitnik built a plan for increasing our PQLs, he worked with our Director of Marketing, John Bonini, to improve our in-app and email nurturing effectiveness, among other things. These improvements also help us improve our signup to paid conversion rate, which John is responsible for. So, there is natural incentive for team members to work together. As we get bigger, we’ve also begun setting goals for individuals in the company that are ways to ensure they’re contributing to their full potential. Whenever possible, we make these goals “leading indicators” so that the individual has full control over their achievement and measurement is immediate. A leading indicator is usually a measure of an input like “exercise”, while a lagging indicator is usually a measure of an out output like “weight loss.” For example, in sales, we set goals for a certain volume of specific activities, a leading indicator, which can be measured every day and every week and usually correlates with the lagging indicator of monthly sales volume. Long gone are the days when you develop a plan and just stick to it. Since nearly everything is instantly measurable these days, why would you keep doing something if it’s not having the intended impact? Or, have you ever started doing something and then realized there was an easier or better way to achieve the same objective? On the flip side, have you ever done something and it had a bigger impact than what you expected? Being data-driven and goal-focused means that your plan should adapt based on what you’re learning. So, each week, we meet to finalize the following week’s activities. In preparation for these meetings, everyone documents their plans inside Asana, our project management tool. All project proposals are entered and discussed in Asana as they are dreamt up. Then, they are finalized there too. To ensure everyone can quickly skim through their co-workers’ tasks for the week, we also keep a kanban style spreadsheet with a maximum of five entries. 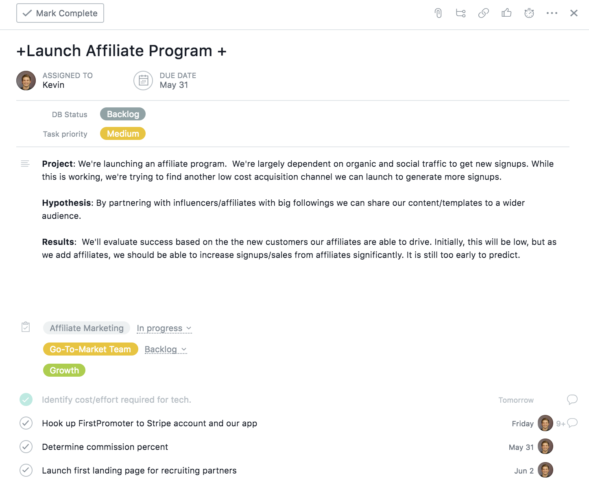 This helps us determine and coordinate projects that involve multiple teams, like coordinating marketing activities with the launch of a new feature. For longer projects that take a few months to execute, we do plan further out. Regardless, we still finalize each week’s plan only a week ahead of time. This process allows us to coordinate collaboration across all of our teams as things inevitably change. 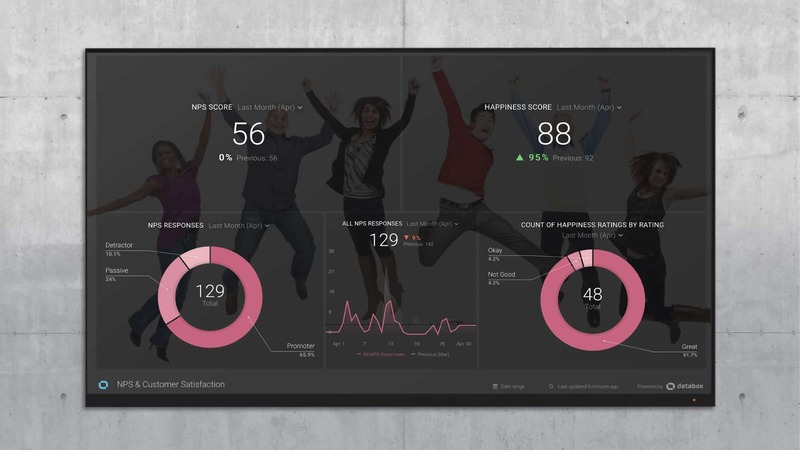 Lastly, everyone at Databox monitors data in real time. Depending on our role, we’re monitoring different things. For example, Kevin and John, who are focused on hitting our website sessions goal, monitor several Databoards that go a level deeper. They’ll use a Databoard that shows them how their most recent posts are performing, like the one below. If a post is performing well, they’ll promote it more. I look at this once in awhile because I’m curious. But, all I really care about is the month-to-date progress. In any business, it’s key that each stakeholder has the ability to control which data they see and how they visualize it. How Are You Setting and Hitting Your Goals? Everyone loves talking about goals. Setting them is fairly easy. It’s hitting them consistently that’s usually pretty difficult. As you can see from our process, we don’t expect to hit every goal we set. Don’t get me wrong — we take failure to hit a goal seriously, but no one loses a job or gets a demotion if they don’t hit one. What we do expect is for everyone to try and hit the goal, work hard to hit the goal and if they don’t hit the goal, develop a plan to hit it next time. We also started our goal-setting simply. When the team began allowing website visitors to sign up for the product on their own, we had modest goals. 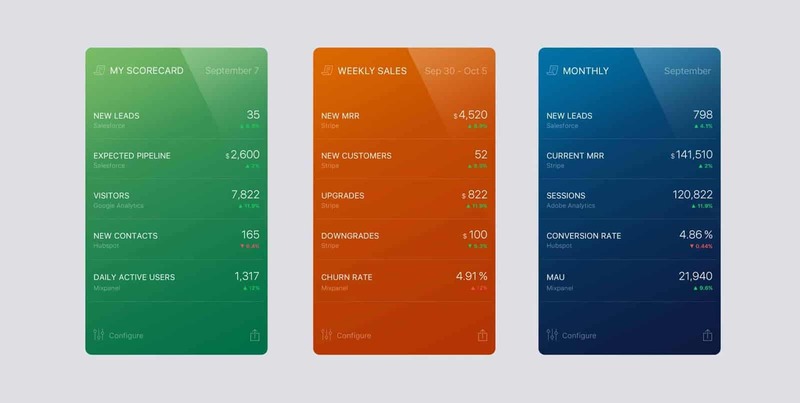 Most of those goals were around getting people to use the product, which then required a lot of feature development and improvement efforts starting back in 2016. When we started hitting the gas pedal on our marketing in 2017, our initial goals were pretty simple: grow traffic and signups. Along the way, we set some lofty goals and missed our target a few times. But, over time, we figured out how to set reasonable goals that push us to do more and do better. What gets us most excited about hitting our goals is the fact that it allows to keep investing in our product and our business, so that we can help others do the same. But, we can’t help unless you get started. If you’re struggling to consistently improve your company’s performance, I highly suggest you start setting, tracking and reviewing goals on a monthly basis. Given how measurable business processes are today, there really is no excuse. PS. John Bonini and I recorded a podcast about this process if you want to hear the unfiltered, behind-the-scenes version of how we got to $1M+ ARR and how we’re helping other companies hit their goals, too. Listen via the player below.